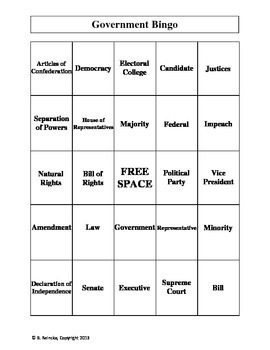 Save your time creating bingo boards. 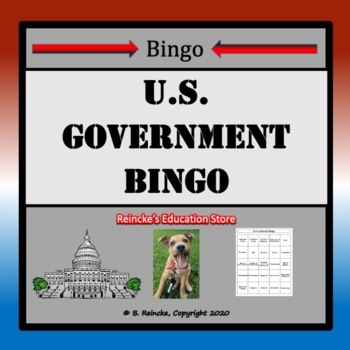 This document contains 30 pre-made bingo boards to make an engaging, fun activity out of studying vocabulary words for the United States Government. 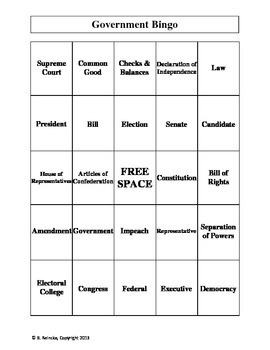 Print these out on cardstock and laminate for long-term use. 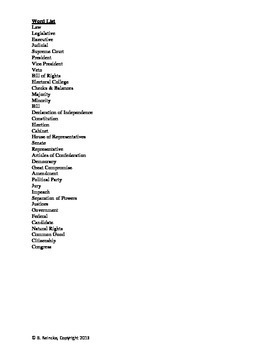 There are 37 key vocabulary terms, people, battles, or events relating to the United States Government. The words contained are listed on the preview document. If you don't teach all the vocabulary words, there is a blank board included to create your own. The document also contains the definition cards for the teacher to read to the students. It's an excellent resource to use in any classroom.